Appleyard London is a boutique florist that sells the most beautiful flowers ever! Anyone that knows me knows that my love for flowers and plants is growing and I'm worried that my bedroom might actually turn in to a greenhouse. 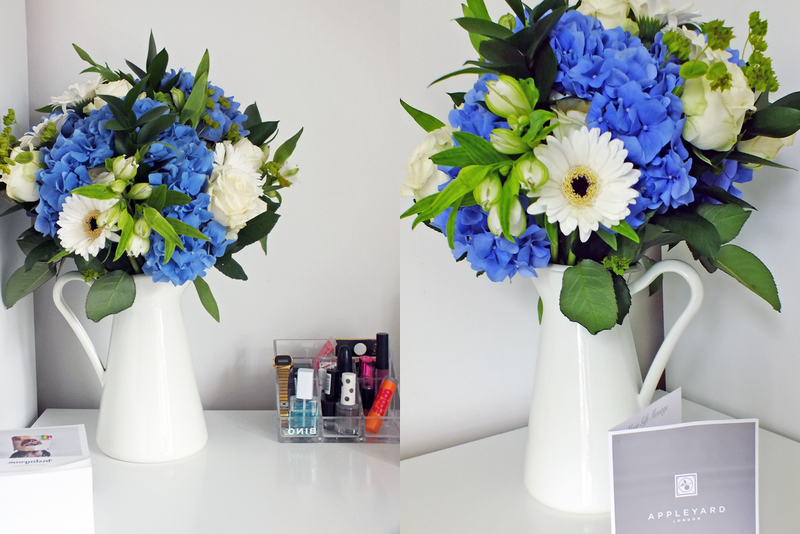 The company delivers fresh flowers right to your doorstep and deliver to Manchester too - yay! Why have a boyfriend when you can send yourself some flowers, am I right? 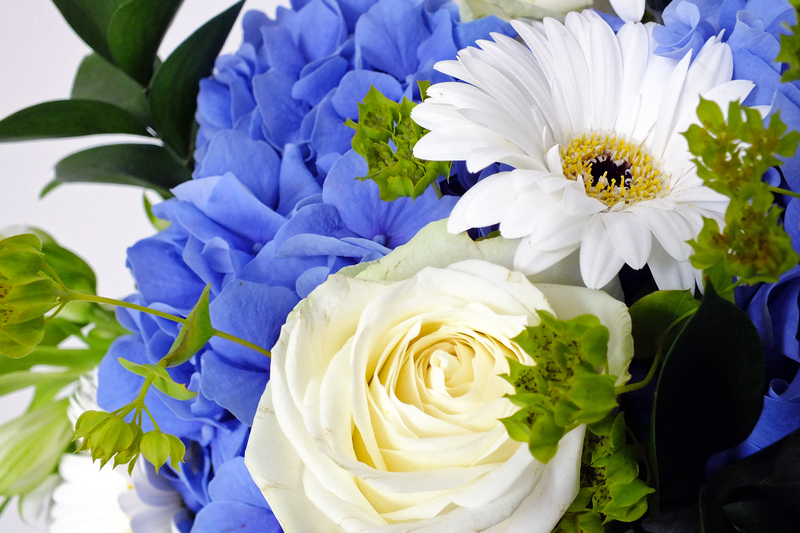 You can click here to take a look at the range of flowers you can send. 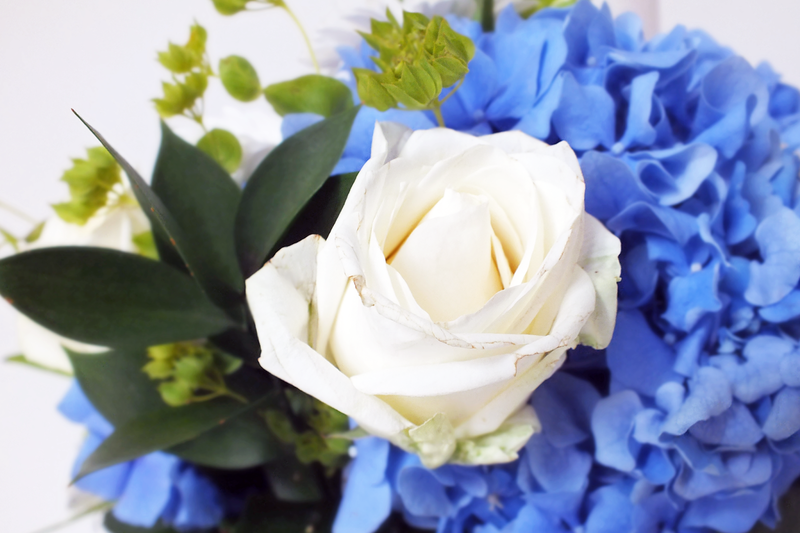 Continue reading to find a discount code so you can recieve 33% off the luxury bouquets! Treat yourself or someone else? 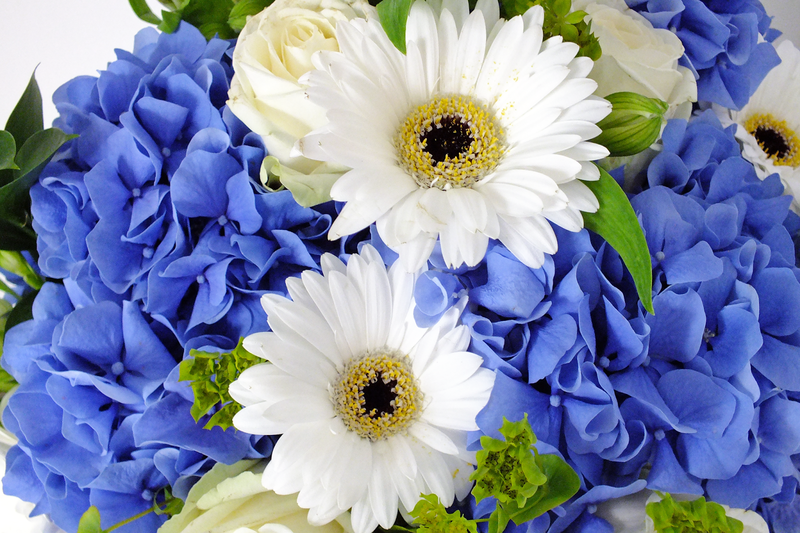 I picked out and was gifted this bouquet of white, blue flowers called Forget-Me-Not and it includes avalanche roses, white germini, alstroemeria and blue hydrangeas. There is a variety of different flowers, colours and sets ranging from £20 to £80. They deliver all over the UK too. You could buy them for yourself to decorate your room, or for a gift for someones birthday, results day, anniversary? I also bought my vase from Ikea, it is the Sockerart vase and I got it in the 22cm so it was £10. These flowers are so beautiful! Love the blue ones!